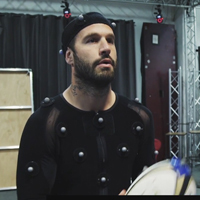 We’re absolutely honored to have Frédéric Michalak in our Motion Capture facility for Rémi Brun’s latest moving light installation. A big thank you to the Ville de Lyon and the French Rugby League and of course to rugby veteran F Michalak himself for making this fantastic project possible! The installation can be seen at the Lyon Festival of Light from the 7-10th December 2017 – starting from 8pm tonight.